The bill proposes legalizing hemp by removing the sustainable crop from the Controlled Substances Act, and would establish it as an agriculture commodity. Senate Majority Leader Mitch McConnell, R-Kentucky, last week introduced a bill to legalize the cultivation of industrial hemp in the United States. McConnell’s bill, The Hemp Farming Act of 2018 (S. 2667) would remove industrial hemp from the Controlled Substances Act and federally legalize the commercial cultivation of the sustainable crop. 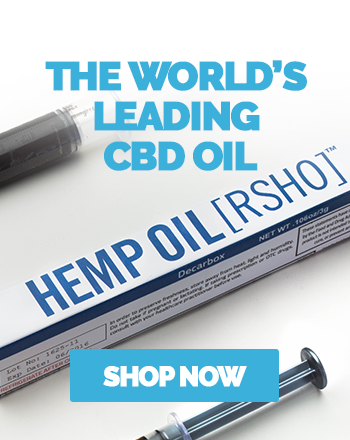 Hemp, thought to be one of the earliest domesticated crops, has been grown for centuries for its seeds and fibers, which can be used to make all kinds of products – cannabidiol (CBD) hemp oil supplements, food, paper, textiles, building materials, biofuel, and more. More than 30 states have been growing hemp for research purposes through a provision included in the 2014 Farm Bill, signed into law by Barack Obama. It’s already legal to sell hemp products, but full commercial hemp farming has been illegal for decades so manufacturers in most cases import the raw materials from other countries. Despite the nation’s hemp market being worth an estimated $688 million, domestic farmers face several barriers to growing hemp due to federal prohibition. The new bill would remove restrictions to farmers, putting the U.S. Department of Agriculture and state agencies in charge of regulating the hemp industry. “By legalizing hemp and empowering states to conduct their own oversight plans, we can give the hemp industry the tools necessary to create jobs and new opportunities for farmers and manufacturers around the country,” McConnell said in a statement. Sens. Rand Paul, R-Kentucky, Jeff Merkley, D-Oregon, and Ron Wyden, D-Oregon are cosponsors of the bill. A companion bill has also been introduced in the House. 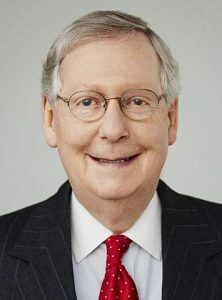 McConnell’s hemp legislation would remove hemp plants containing less than 0.3 percent tetrahydrocannabinol (THC) from the list of Controlled Substances. All of the plant’s derivatives, extracts, and seeds that remain below the THC requirement would also be de-scheduled. The Hemp Farming Act would also normalize the finance, banking, insurance, and other business proceedings for hemp farmers and businesses operating within the hemp industry. Under the National Agricultural Research, Extension, and Teaching Policy Act of 1977, hemp research would be eligible for competitive grant funding. Because hemp would be restored as a U.S. agricultural commodity, hemp farmers would have public water rights ensured. Additionally, protections for interstate commerce of U.S. grown and manufactured hemp products would be established. Reactions to the legislation among hemp advocates and industry leaders have been overtly positive. “The Hemp Farming Act of 2018 is landmark legislation that will be remembered as the key element which finally allowed the hemp industry to flourish in the U.S.,” he added. “We expect research and American innovation to springboard under this proposed full legalization,” said Joy Beckerman, Hemp Industries Association president. “It will take a lot of hard work to make hemp federally legal in the U.S., but we’re happy to have someone of such power and influence working to help make this possible,” he added. Hemp has a long history in America. You can learn more about hemp and its array of benefits, and keep up with the latest developments in the hemp industry, by visiting our news page.